That deadly warning in all major 80's action movies is back with a warning. 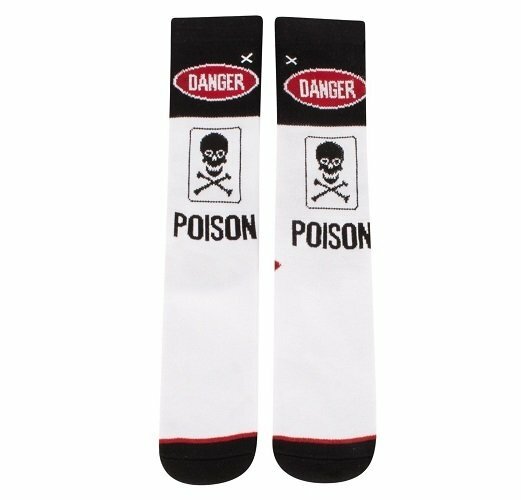 DANGER it's poison. These knit socks provide comfort along with a heads up not to be bothered or tampered with.